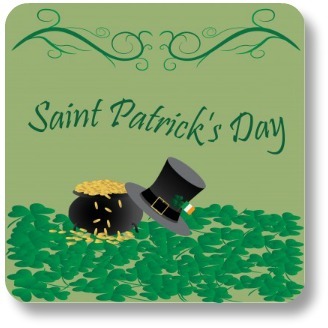 St Patricks Day Trivia: Fun Facts About An Important Irish Holiday! St Patricks Day Trivia: 10 Things Many People Don't Know About this Important Irish Day! Sharing St Patricks Day trivia is a fun way to celebrate a 1,000 year old Irish religious tradition. Many Irish families go to church in the morning to observe Lent, and then celebrate St. Patrick’s Day in the afternoon with feast, drink, and dance. Below you will find 10 questions and answers to boost your knowledge of the Emerald Isle and impress your friends and family on this famous day! If you find yourself wanting more about Irish customs in general, please visit our main section on Irish trivia and traditions here! Meanwhile, let's enjoy some St Patricks Day Trivia! Saint Patrick's Day celebrates the life and teachings of a man named Patrick, born in Roman Britain, who was kidnapped and sold as a slave in Ireland at the age of 16. He escaped, but later returned as St Patrick, bringing Christianity with him. Many legends have been associated with St Patrick, and with the day that celebrates his life. His death occurred sometime around March 17, 461. Question: Was St Patrick actually Irish? Answer: No! Patrick was born in Roman Britain to a religious family, kidnapped and sold into slavery in Ireland. He later escaped, only to return to Ireland as a missionary later in life. Question: Why is green so prominent on Saint Patrick’s Day? Answer: There are a number of answers that are acceptable. Ireland herself is referred to as the Emerald Isle due to her lush green landscape. The world-famous Shamrock symbol is green. Also, wearing green makes you invisible to those pesky leprechans, who will pinch you if they can see you. Wearing green is critical to prevent those pinches. Obviously. Question: Where was the first St Patricks Day Parade? Answer: The city of Boston, USA celebrated St Patrick with a small parade as early as 1737. According to Timothy Meagher, it was the Irish Americans who evolved the religious holiday in Ireland into a more celebratory occasion. Answer: The St Patrick's Day practice of placing a shamrock in one's last glass of whiskey, before drinking it down. Question: What is the meaning of Erin go Bragh? Answer: These famous words are translated Ireland forever. Question: A well-known legend holds that St Patrick eliminated what reptile from the Emerald Isle? Question: What is a 3-letter word that describes a very popular Irish dance seen all over the word on St Patricks Day (and most other days :-)? Question: Is it true that they dye the Chicago River green for Saint Patrick Day? Answer: Yes! Two family clans in the Chicago area have been doing this for more than 50 years. They use a top-secret powder to turn the river green for many hours. Question: According to legend, St Patrick used the shamrock to describe what central Christian idea? Question: Why was drinking on St Patricks Day in Ireland forbidden between 1903 and 1970? Answer: The Church declared it sacriligious. Until then - thanks for visiting St Patricks Day Trivia! Please continue exploring your Irish side at Irish-Expressions.com.